Time Machine Casting for Jaya, She Would be the Perfect Leslie Knope in a Remake of Parks and Recreation! If I had a time machine, I would do many important things. But after doing all of them, I would stop by Jaya in the 1970s and cast her in a movie version of Parks and Recreation. 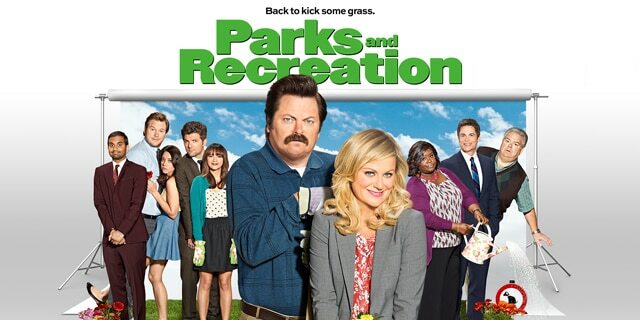 If you haven’t watched Parks and Recreation, WATCH IT!!!! It’s delightful, our heroine is a passionate organized multi-tasking bureaucrat in a mid-sized town in Indiana. And it’s all about the people who surround her and work to make their town, and the world in general, a better place. Also, super cute romances abound. Leslie Knope: Early 30s aged government employee, deputy director of Parks and Recreation, cheerful and organized and caring. Too good for most men, a long series of depressing relationships with men who found her too much. The story starts out not with a male-female romance, but with her discovering her one true forever best friend, Ann Perkins. Ann Perkins: A nurse without many friends or connections, and an ex-boyfriend who was a bit of a manboy. She meets Leslie and immediately appreciates her and becomes her loyal and supportive friend, following Leslie’s lead and helping her learn to better balance her life between work and friendships. Andy Dwyer: Ann’s ex-boyfriend, she was dating him when she first met Leslie, but after experiencing Leslie’s super supportive attitude, Andy looked worse than ever and she broke up with him. Andy cheerfully planned to win her back, until he started to have an unexpected friendship with much younger sarcastic college student April. Eventually he realizes that April is the one for him. April Ludgate: A sarcastic college intern at the parks department who starts out hating everything and everyone. She slowly comes to respect her co-workers, and to enjoy hanging out with cheerful optimist Andy. She awkwardly tries to start a relationship with him, is hurt when he seems not to be interested, and then cautious with him when he starts to pursue her. Ron Swanson: Leslie’s boss, a strong silent manly man, who also respects Leslie’s intelligence while not always agreeing with her point of view. He is a bit of a father-figure for Leslie, April, and Andy. Tom Haverford: Leslie’s assistant, always trying to be cooler than he is, a bit of comic relief. Jerry Gergich: The about-to-retire older man in the office, incompetent and constantly being blamed for everything, but cheerfully accepting the blame because that’s the kind of guy he is. Ben Wyatt: The state auditor who arrives after Leslie has built up her friendships and begun to find a new way of being. He is tightly wound and anti-social and detail oriented, but slowly comes to love Leslie for all the things that no other man ever appreciated, her fabulous ability at her multitask, her political nerdery, her ambition, and so on. Chris Treager: Ben’s fellow auditor and best friend. Insanely cheerful and optimistic about everything, he starts dating Ann right away. Then breaks up with her. Then, years later, they decide to have a baby together because they will be compatible parents and, through the process of preparing for the baby, fall back in love again. Donna Meagle: Tom’s best friend in the office, a large-sized older woman with an exciting life that is only mentioned in passing. Collector’s office, a bunch of people who passed the civil service exam and then decided to either sleep through their careers and enjoy government salaries, or are looking for business connections and kickbacks, or are actually passionately dedicated, or are cynically burnt out on the whole concept of government service, and then the one person who actually cares and somehow manages to inspire the rest of them to care too. Ann and Andy are married, and tired of each other. Andy takes her for granted, and she is getting sick of him trying to paper over real problems with charm. Meeting Leslie makes her start to think about how she can live her own life and do okay even without a husband. She finally serves him with divorce papers. And then goes on her own personal journey, casual dates a number of people, before realizing what she always wanted was a child. Which leads her back to Chris, and eventually to realizing that Chris is the right person for her. Andy stops laying around and starts managing the government canteen. He is trying to prove himself to Ann before the divorce is final, but instead he learns to understand why she has to leave him, and accidentally ends up falling for the college student who is interning at the office because her dark sarcasm is a perfect balance to his cheerful optimism. April is a college student, she is from a rich family and only doing the internship so her parents will buy her a car, but she ends up caring in spite of herself. And she also, after at first trying to make fun of Andy like she does everyone else, comes to enjoy his inability to get embarrassed or ever feel sad, and his willingness to treat the world like a game, just as she does. The rest of it can pretty much be like in the original, Leslie is the enthusiastic deputy with a deep faith in government (Nehruvian idealist idea of India, that kind of thing), Ron is the burned out chief who puts up with her enthusiasm but has no faith in the idea of government, Tom is the corrupt younger deputy, always making nice to the rich people in the area and trying to start businesses on the side, Donna is the office manager who just doesn’t care about any of it and prefers to keep her exciting personal life private, Jerry is the nice guy who’s worked in the office forever, and Ben and Chris are the outsiders re-assigned to the office who shake things up. Starting with 1970s Hindi, just because I have the perfect Leslie. Leslie Knope: Jaya Bachchan! Pretty, energetic, smiley, charming, perfect! Ann Perkins: Shobhana Azmi. Cool, beautiful, quiet energy. Interesting contrast with Jaya. Andy Dwyer: Rishi Kapoor. Manic, fun, totally unexpected and charming. And clearly not right with Shobhana, so it is a relief when they break up. April Ludgate: Padmini Kolhapure. She wasn’t in much, but she and Rishi had a great chemister in Zamane Ko Dikhana Hai, and she was obviously way too young for him, which is a big part of this plot. Ron Swanson: Dharmendra, I think. Ron isn’t really that much older than Leslie, but he has such a manly energy that he feels older. Very Dharmendra. Ben Wyatt: Amitabh (obviously). Quiet, serious, a little dry humor. Chris Treager: Vinod Khanna. I think? I might be able to do better, but that is the pretty good. And he has good chemistry with Shobhana, we saw that in Amar Akbar Anthony. Leslie Knope: Nithya Menen. I really really like her! And I feel like she could anchor a whole story. Ann Perkins: Samantha Ruth Prabhu. Quiet pretty energy, and I think it would be an interesting contrast with Nithya. Andy Dwyer: Prabhas. Goofy energy, cheerful, feels younger than he is. April Ludgate: Oooo, tricky!!!! Oh! I have it! Sai Pallavi. It’s perfect. Ron Swanson: Nagarjuna. He’s got the right kind of mustache game. Tom Haverford: Allu Arjun. I know he’d never take the role, but wouldn’t it be fun to see him play a straight comic supporting role? Ben Wyatt: Mahesh Bahu. I know, it’s silly, but that sort of stiff uptight vibe might work with him. Chris Treager: Rana Daggubatti. Obviously! Super healthy and handsome and perfect. Leslie Knope: Rani Mukherjee. Gotta be her. Mature, successful, energetic, smart, and so on and so on. Ann Perkins: Preity Zinta. Reunite the Har Dil Jo Pyar Karege duo! Andy Dwyer: Saif Ali Khan! Goofy, immature, fun. April Ludgate: Kareena! Very meta. And also, I think it would have been fun to see her play dark and cynical as a teenager opposite goofy happy Saif. Tom Haverford: Johnny Lever. Obviously. Ben Wyatt: Abhishek! Tall, dry humor, at first mildly irritated with Rani, but ultimately very impressed by her. Chris Treager: Akshay! Have he and Preity ever co-starred? Anyway, super healthy and energetic and all of that. Okay, I’m exhausted. For present day all I have is that Ranveer HAS to be Andy, and beyond that I am out of ideas. This entry was posted in Uncategorized and tagged Fanfic, Jaya Bachchan, Parks and Recreation by mredlich21. Bookmark the permalink. I think Abhishek should be Andy Dwyer and Saif should be Ben Wyatt.